Want to get the most bang for your buck? 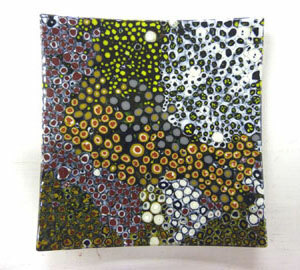 Then check out this workshop, which covers not one, not two, but three different fused glass techniques. 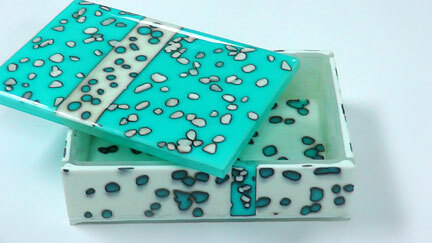 We'll start with reactive glasses, then continue with techniques that involve iridized glasses, and then we'll explore the crackle technique in fused glass. 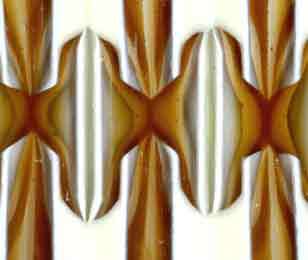 Strip construction -- the arranging of cut glass strips to form solid fused pieces -- has been around for years. This workshop updates strip design basics by exploring ways to create strip pieces that don't necessarily walk the straight and narrow. 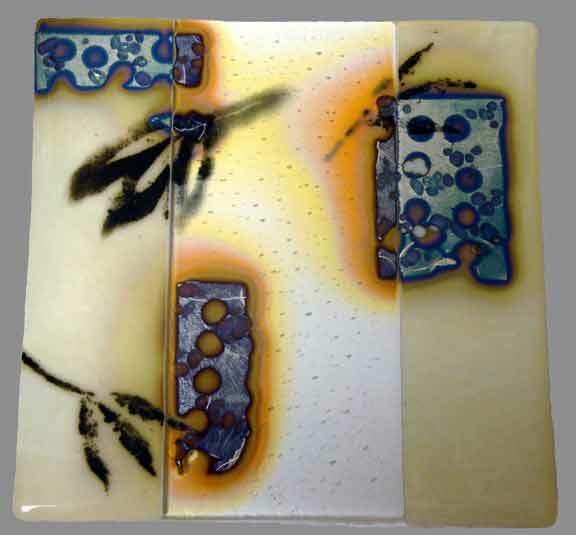 We'll create sample tiles using several different approaches the first day, then assemble, fire, and finish a larger strip piece using what we've learned. In three packed days we'll cover some of the best projects that involve stringers, from stringer bowls to wavy stringers to stringer tapestries. 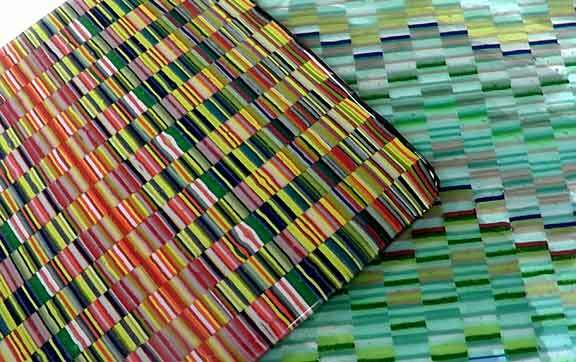 This course has something for everyone who's every wondered about the possibilities of stringers and glass. What better way to appreciate the beginning of than spending the weekend exploring kiln-forming processes that take place at 1650F and higher. 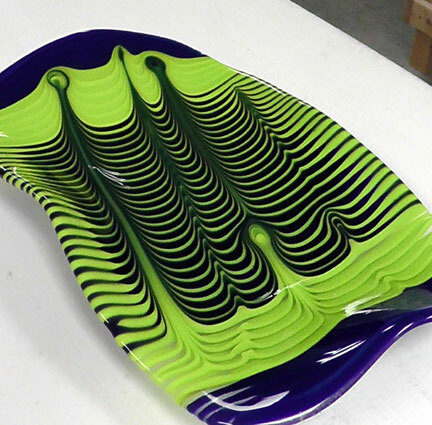 Our focus will be on combing, or manipulating molten glass in the kiln, with the goal of creating and completing a large combed platter like the one at left. We'll also explore high temperature melts such as pot and wire melts and related high fire techniques, too. For those who've taken Jody's basic Pate de Vere Sucré class and want to learn more! 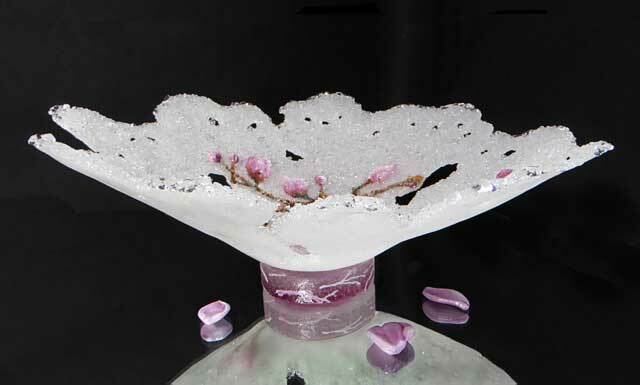 Special topics covered include incorporating sheet glass pieces in pate de verre and using enamels and micas with pate de verre. Here's a unique take on the drop formed vessel. 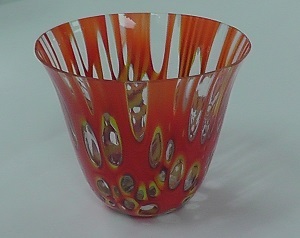 We'll start by making bubble ups, in which glass is arranged and fired to create clear areas in a particular pattern. 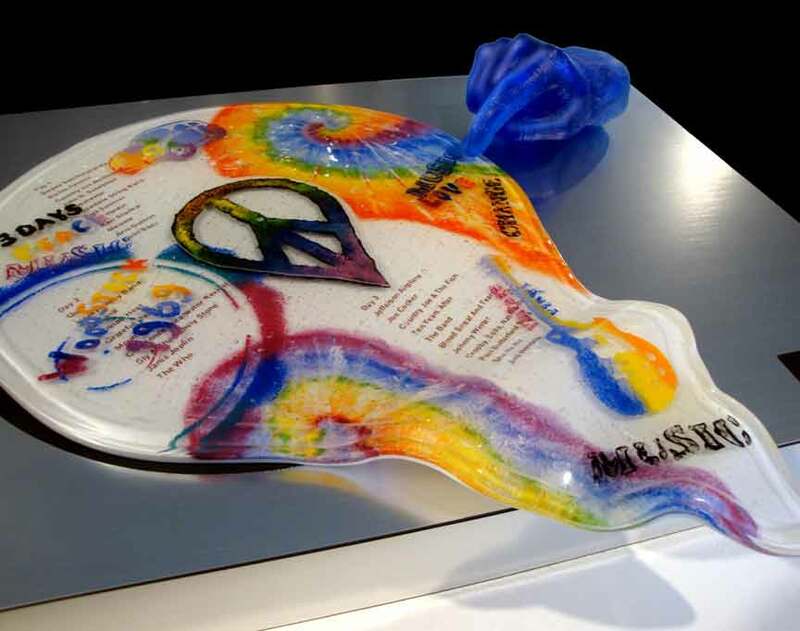 The resulting pieces have a series of round or oval transparent areas, spaced either in lines or randomly throughout. Then we'll use our bubble ups to create blanks to be dropped to form a vessel. Saturday, June 29 to Sunday, June 30, plus one day! 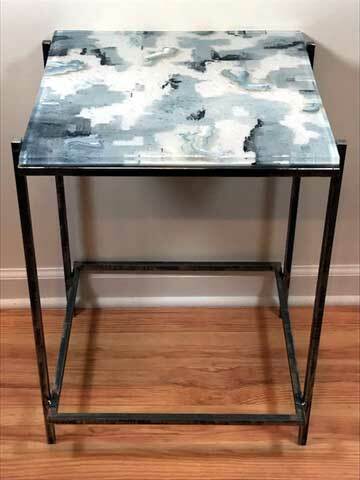 Everything you need to know to make your own unique glass table top. 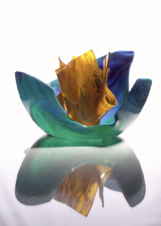 We'll discuss basic design concepts and several approaches to making thicker pieces. Students will create two smaller designs to test their ideas, then construct and assemble a larger 16" to 18" square, 1/2" to 3/4" thick table top using what you learned. Pieces will be fired in our kilns, then you'll return for a third day of your choosing for one-on-one instruction on coldworking your piece so that it's ready to show off and use. A base for the table top will be included in the cost of the class. No experience required. 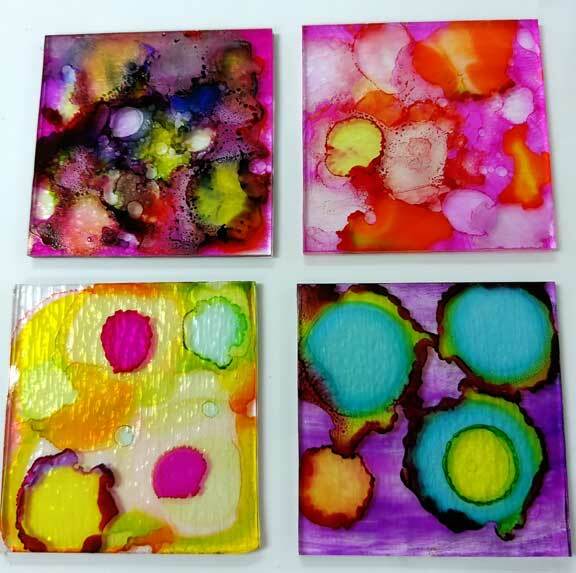 A hands-on, fun-filled workshop that will show you how to use colorful, inexpensive alcohol inks on float glass. We'll use them to make three different projects: a flat panel, a curved plate, and a ready-to-hang ornament. *** New *** Learn to arrange glass pieces and strips so that they flow together in the heat of the kiln to create unique bowls and platter designs. We'll start with basic arrangements, then move on to more complicated designs. You'll learn how to fire, how to get the pieces ready for slumping, and how to create the finished piece. Techniques for creating both round and square pieces will be covered. A comprehensive exploration of methods for casting glass, from simple open faced castings to more elaborate techniques such as lost wax casting and casting with rubber molds. 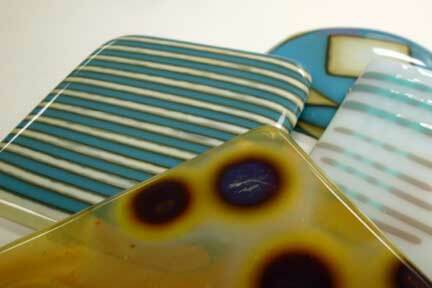 Learn to make distinctive fused glass boxes in a variety of shapes and sizes. We'll cover both basic rectangular boxes and more complex shapes like circles and ovals. By the end of the course you'll have made at least three boxes using two different methods, and including one custom shape of your own design. You'll learn to make lids for your boxes using two different approaches. And you'll leave with boxes, lids, instructions, and firing schedules for making even more.